Between 1998 and 2001 Saliba participated in various projects organised by the Accademia. Throughout this period he displayed abstract murals, site-specific works and video installations. In 2001 Saliba submitted his dissertation - La Poetica del Sublime. On his return to Malta his interests focused mainly on expressing symbolically the spatial and psychological limits affecting islanders. Surpassing boundaries and looking beyond the horizon are themes that recur regularly in Saliba's ouvre. Typical examples are In-finite (1999), one of his earliest site-specific works and Transcending the Ordinary - a project started in 2004 consisting mainly of documented outdoor interventions. The idea of transcending the boundaries of enclosed physical spaces develops once again in Defining Confines (2008), an installation consisting of a series of abstract drypoint etchings. In his animated video Virtual Confinement (2008), Saliba questions the advancement of technology and its influence on the emotional aspect of human life. In 2010 Saliba embarked on an experimental project titled Ageing Mirrors, which started as a series of 'existential' photographic works, but developed in part as a social commentary. This project is still ongoing. 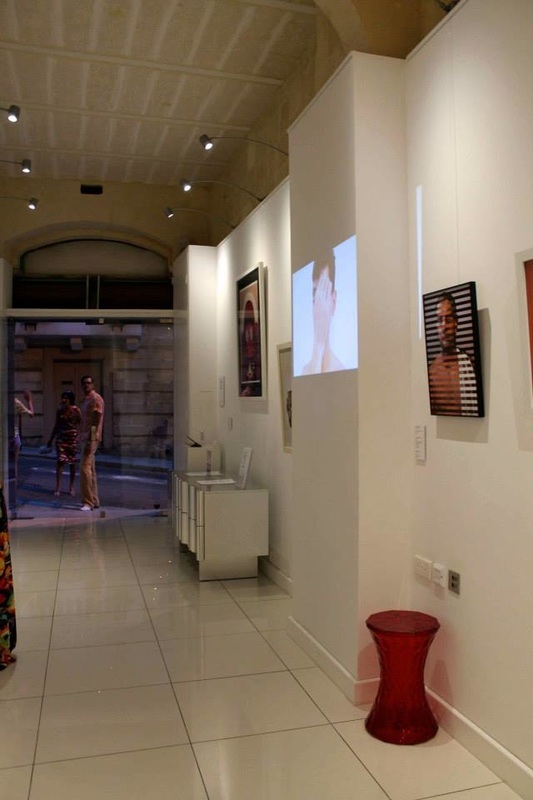 Selfie Ergo Sum (2014) - exhibited at Studio 104 in Valletta.